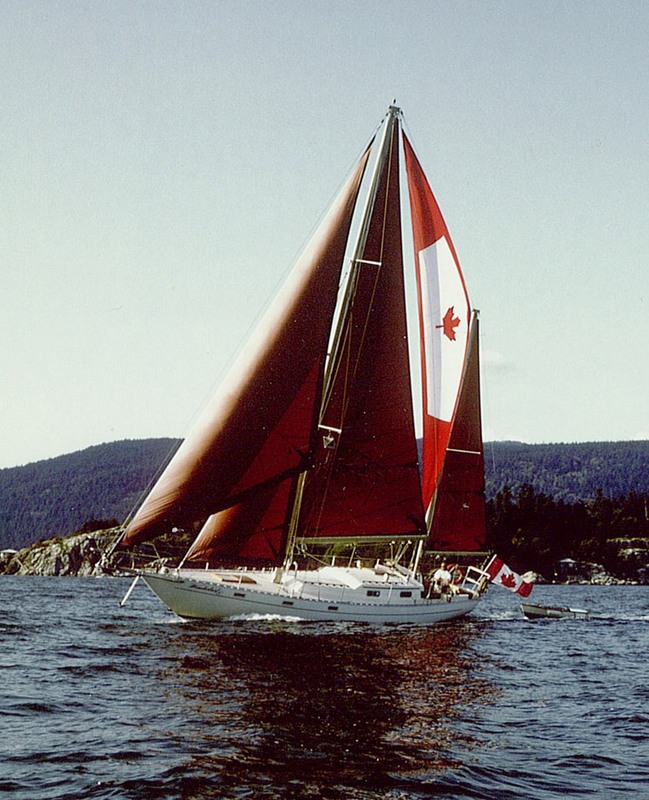 Glenora Doherty has sailed over 30,000 nautical miles aboard the Reliance 44 ketch, Wanderlust V, which she and her family built from a bare hull, and has served as crew on other offshore boats. Glenora is the Past Commodore of Bluewater Cruising Association and served as editor of the Association’s newsletter, Currents, for six years. She sings with Vancouver’s fabulous show chorus, the Maple Leaf Singers; volunteers as Social Convener for her strata, and serves as Reservations Coordinator for a Christian Women’s Club. She is the author of Voyage to the Other Side of Grief: Finding Joy in New Dreams, and has published articles in Cruising World Magazine and Currents. She has lived in Germany, California, Mexico and five Canadian provinces. She now lives in her own home, Wanderer’s Rest, in Surrey, with her Havanese pup, Tilley, where she enjoys hosting family and friends. Glenora’s slide presentation entitled “The Offshore Dream” will focus on the highlights of her own 30 years of offshore cruising, including cruising with toddlers on a 32-foot sloop in California; cruising with teenagers to Mexico, Hawaii and Alaska; and cruising with grandkids in the Gulf and San Juan Islands – the greatest joy of all! You’ll see pictures of beautiful sunsets, idyllic anchorages, and beautiful islands. You’ll learn about the challenges of building a boat from a bare hull, living aboard full-time for 13 years, and share her joy in making her first landfall after 17 days at sea. Glenora and her family trucked their unfinished boat from the Atlantic to the Pacific, sailed from the tropics of Hawaii to the glaciers of Alaska, and survived a hurricane in a Mexican boatyard. There’s no life like it!